The first single sided lock-on grip from Lizard Skins, the MacAskill Signature grip is also their most technical grip to date. 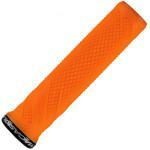 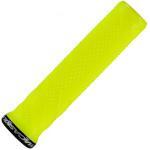 It features a larger diameter in key areas of the grip to provide better cushioning against impacts and vibration. Designed and ridden by Danny MacAskill, you can be sure these grips can stand up to anything you throw at them. Lizard Skins lock-on grips come as a complete pack which includes grips, clamps, screws and plugs.